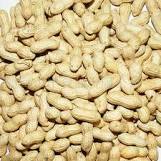 Peanut shell contains a lot of luteolin. Luteolin is thought to play an important role in the human body as an antioxidant, a free radical scavenger, an agent in the prevention of inflammation, a promoter of carbohydrate metabolism, and an immune system modulator. Among possible therapeutic applications of oral luteolin are allergies, chronic inflammatory conditions (respiratory, gastrointestinal, musculoskeletal, etc) atherosclerosis and other vascular disorders, neoplastic disorders, diabetes and obesity ;Externally luteolin can be used for skin allergic/inflammatory disorders and for skin cancer prevention; Luteolin is a promising agent for use in ophthalmology: for prevention and treatment of cataract and of vascular eye disorders. in pharmaceutical field, it can play the role of inflammation;at the same time, it is often made into the products of losing weight in cosmetic field.